Before using the app, verify that the Apps module has been activated for your account: log in to BIM 360 Account Admin and check whether you have access to the Apps tab. If you do not have access, ask your Autodesk representative to activate the Apps module for your account. BIM 360 Admins can find the Bluebeam App in Account Administration under the “Apps” tab. Select the app, click on the "Add to BIM 360" button and authorize access to your BIM 360 Account. The app will be available for US BIM 360 accounts through: https://apps.b360.autodesk.com/integrations/bluebeam. Launch the app - https://apps.b360.autodesk.com/integrations/bluebeam. From the top left-hand corner of the screen, select an account and project. Note that you need to have access to the BIM 360 Document Management module for the project. Click “Login to Studio”. The Bluebeam Login screen opens. Enter your email and password. Note that the email and password must match your BIM 360 username and password. The Grant Access screen appears. Click “Allow”, to allow access to your Studio data. The Session screen appear. To create a session, click “Create New Session”. Enter a title, and optionally enter a session expiration, add attachments and invite users to the Session. Click the “Create” button. The Session screen opens. Join the session in Bluebeam Revu, by selecting the Session from the list of Sessions in the Sessions screen, and clicking the “Join Session” button. 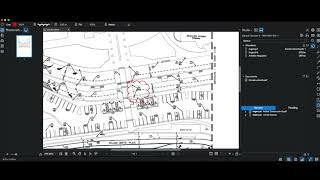 The Bluebeam Revu screen opens, where you can review and update the PDF files. - From Bluebeam Revu, click the “Session finish” button. To import the files back into BIM 360 Document Management, open the session, select “Import files”, and click “Next”. The Finish Session screen appears. Select the attachments that you want to import back into BIM 360 Document Management, and click “Next”. The files are updated in the BIM 360 Document Management. Upload and import files might time out for very large volumes of files.